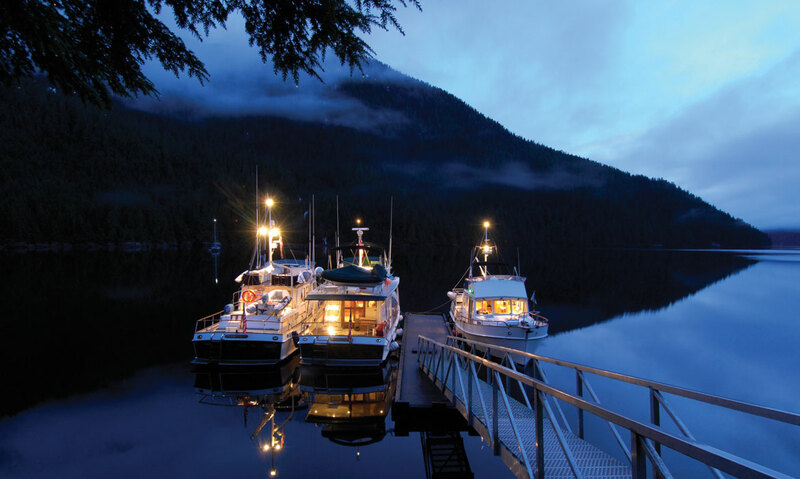 This leg takes you on our famous “Outside Vancouver Island” route all the way up to beautiful Ketchikan. 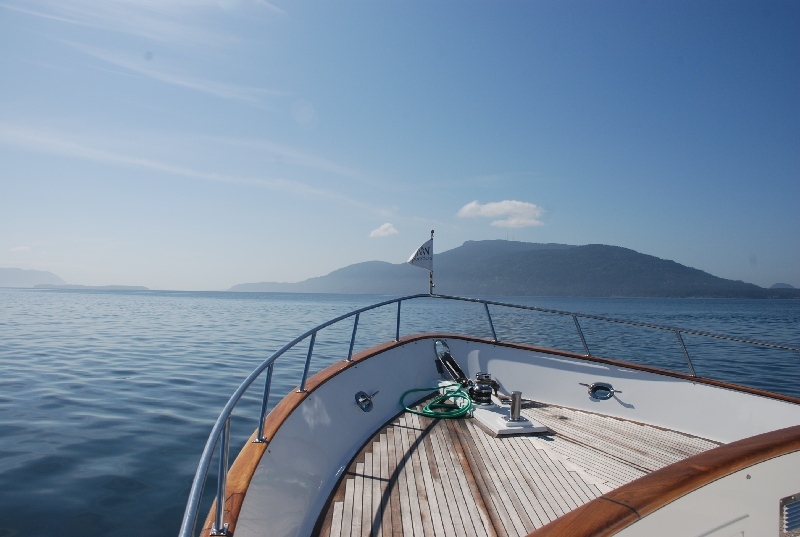 Enjoy this remote, rarely-experienced cruising ground with the comfort and support of our intimate flotilla. islands are not to be missed. 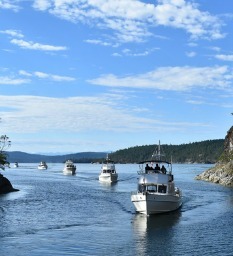 Explore Fury Cove, Culpepper Lagoon, and Prince Rupert. Book now to save your spot! After submitting this form, we will contact you to complete your reservation. 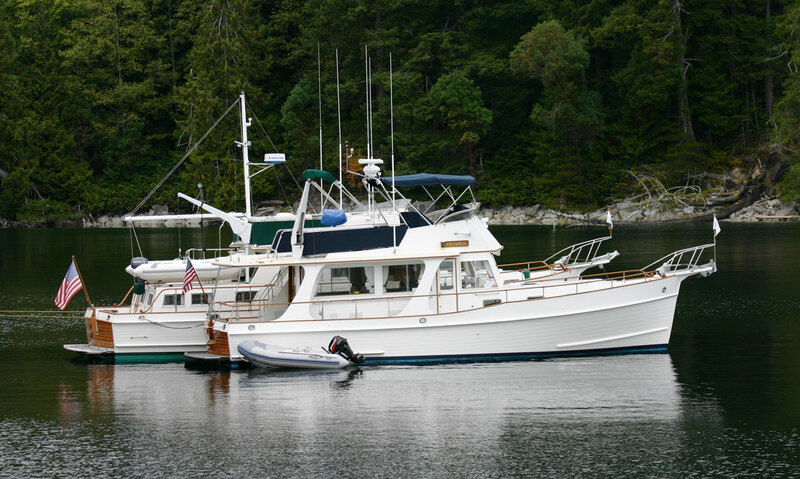 This leg departs from the historic town of Ketchikan. 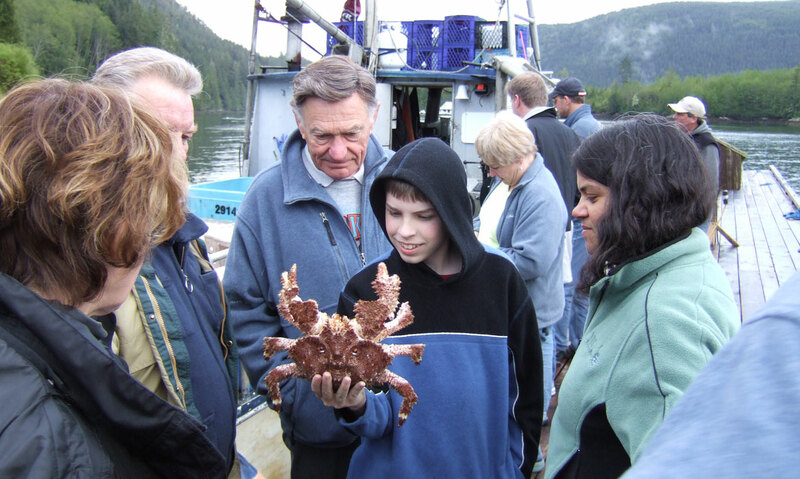 Learn how Ketchikan was established as the “Salmon Capital of the World” as well as the beginning of the last frontier! 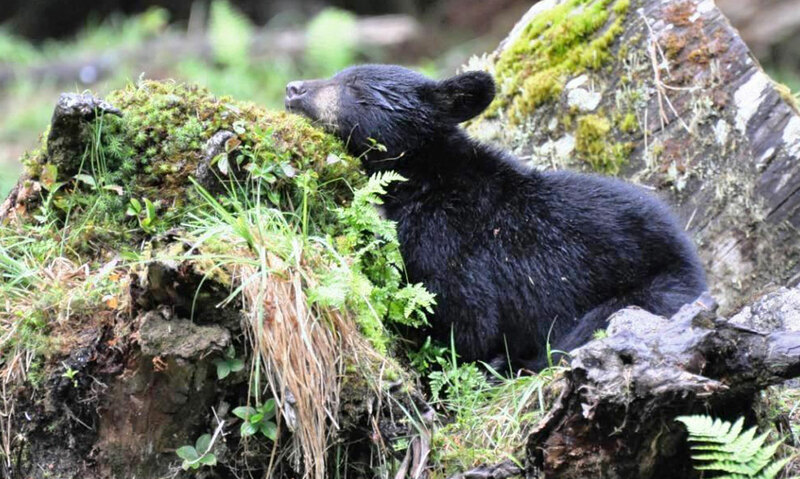 Along this trip, you’ll explore quintessential small Alaskan towns, like Wrangell and Petersburg, spot plenty of wildlife, like humpback whales and brown bears, and take in the stunning shorelines of the Alaskan wilderness from the deck of your luxury yacht. Join us aboard our voyage from Petersburg, aka little Norway, to Sitka, the former Russian capital of Alaska. 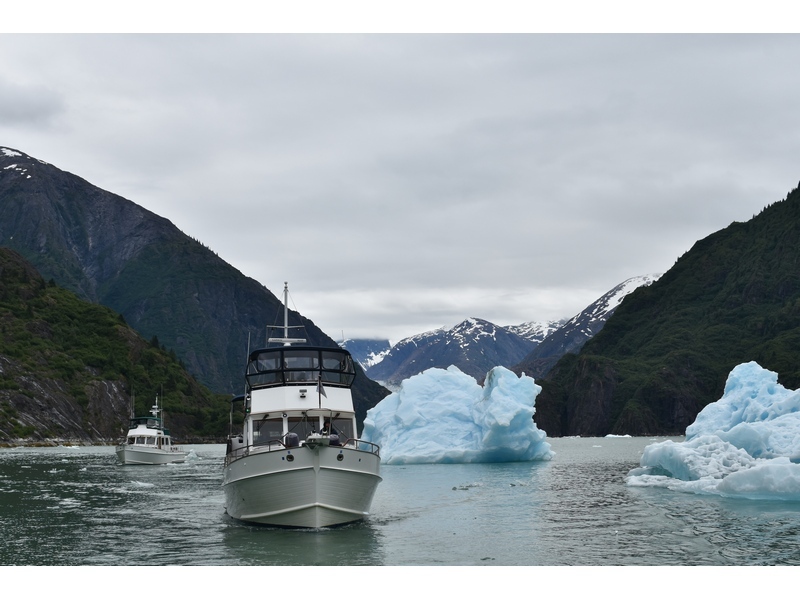 You’ll have the opportunity to go where the cruise ships cannot and will see the natural beauty of this region as well as the lifestyle of those that call Alaska home. 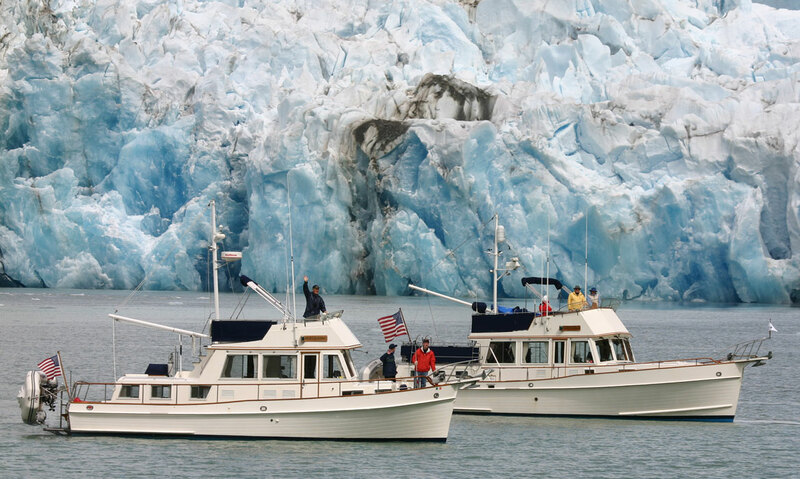 Experience captaining your vessel up to the face of one of SE Alaska's spectacular tidewater glaciers, travel through deep fjords with towering mountains on either side, and walk through lush temperate rain forests. Take a soak at Baranof Warm Springs—a primarily seasonally occupied community where you will be able to soak in your choice of nine separate hot springs that vary in temperature. 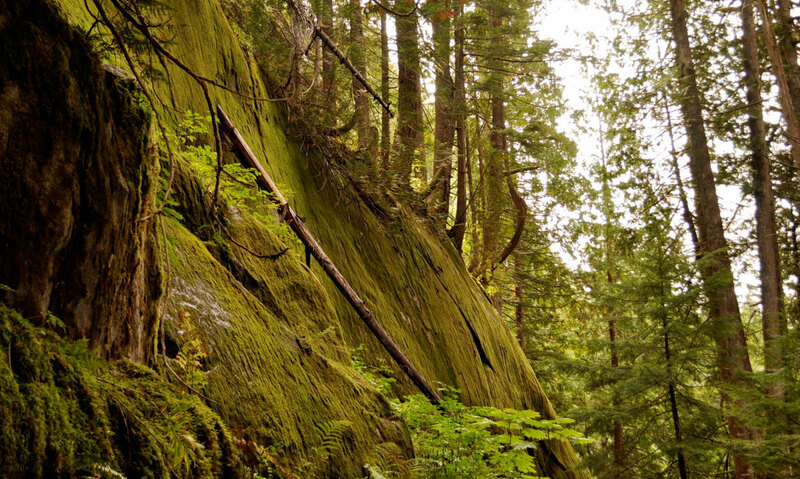 Our favorite of the hot springs is nestled right up alongside the rushing Baranof River-which is a site to see! Visit the village of Kake, home of the world’s largest totem pole which stands at 137.5 feet tall. 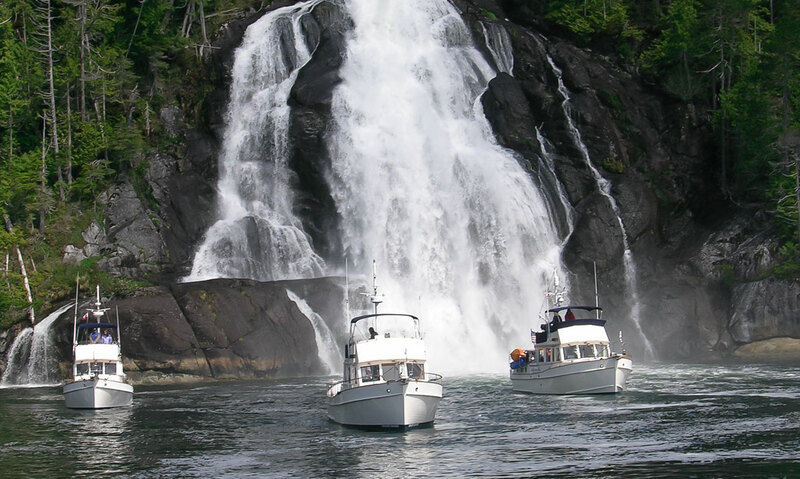 Navigate your luxury yacht through Rocky Pass, known as the “holy grail” of navigating in Southeast Alaska. 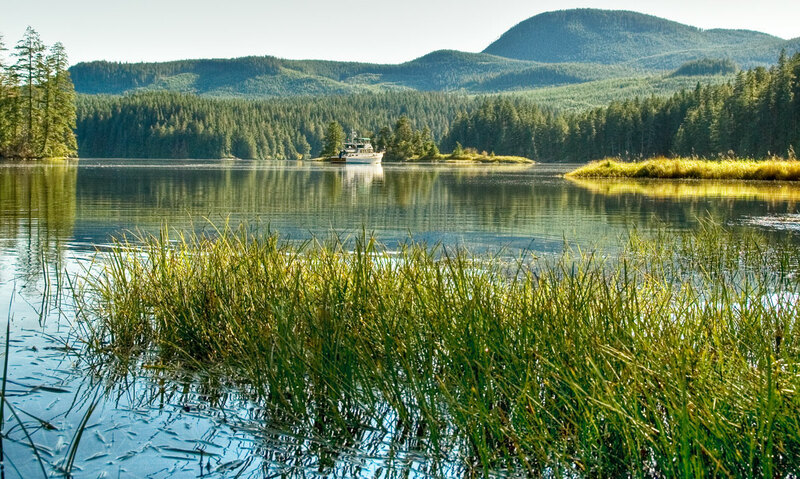 In Sitka, explore the National Totem Park, the Alaska Raptor Center which rehabilitates injured birds and the historic downtown of this thriving community. 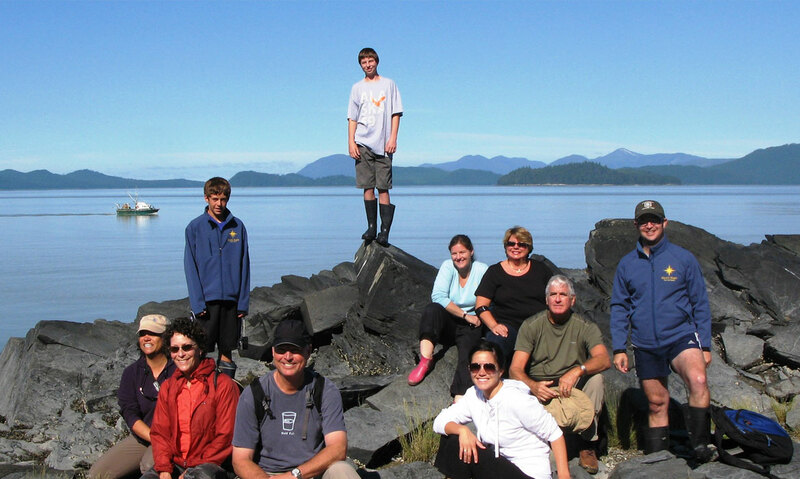 Join this adventurous trip along the rugged, west coast of Chichagof Island. 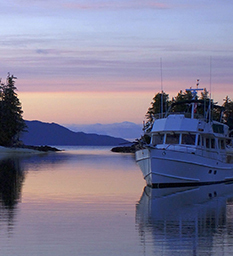 Travel to remote anchorages and enjoy the pristine wilderness of SE Alaska from the deck of your luxury yacht. 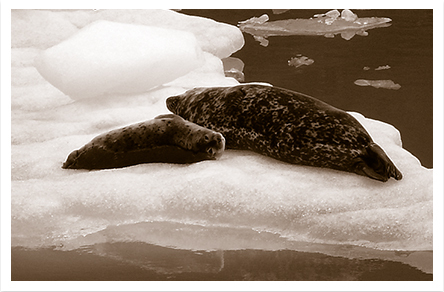 Spot plenty of wildlife, like humpback whales and brown bears, and take in the awe-inspiring Sawyer Glacier. 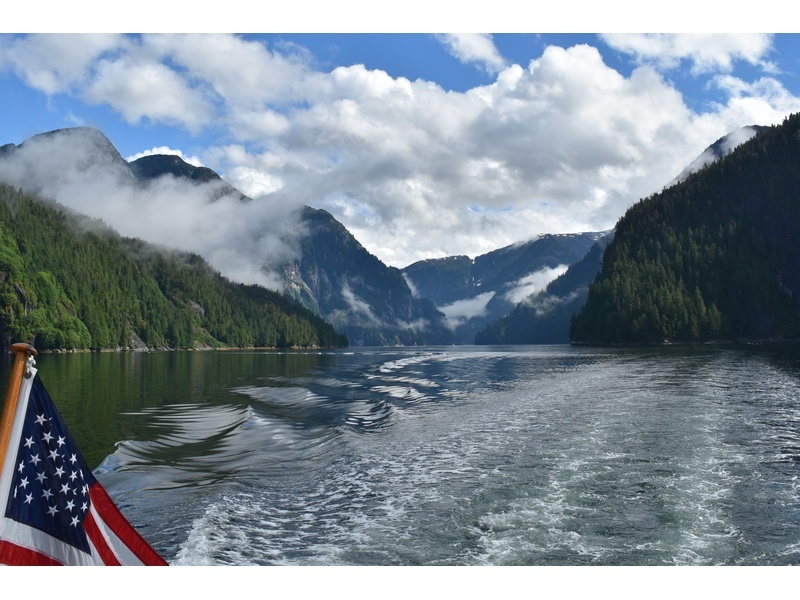 Join us aboard this voyage from Petersburg to Ketchikan where you’ll get to experience native culture, amazing fishing, stunning scenery, glaciers, wildlife and more. Visit the charming, small community at Meyers Chuck, and maybe even have one of Cassy’s famous sticky buns! 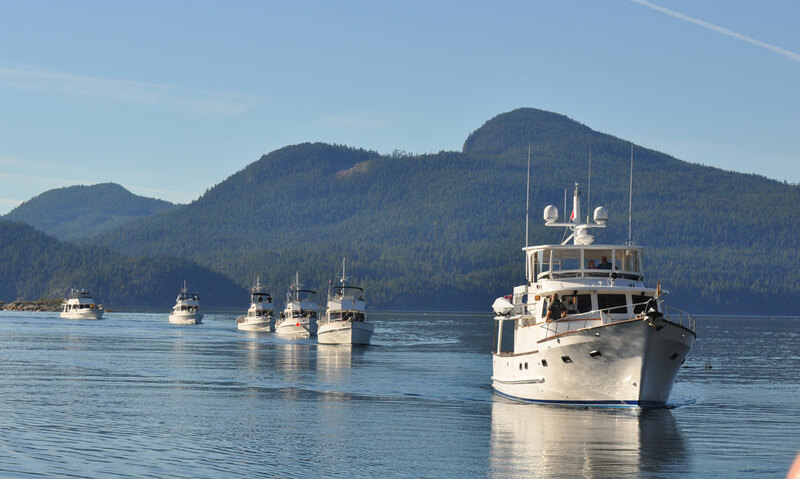 Go on an incredible boating adventure that begins in Ketchikan and takes you along Alaska’s famed Inside Passage and out to the remote islands of Haida Gwaii. 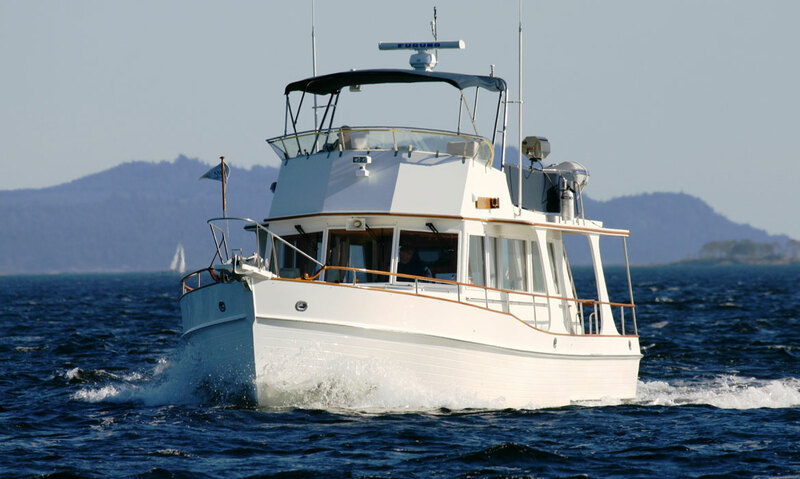 This leg requires open water crossings, long days at the helm and heightened awareness as you navigate narrow passages. 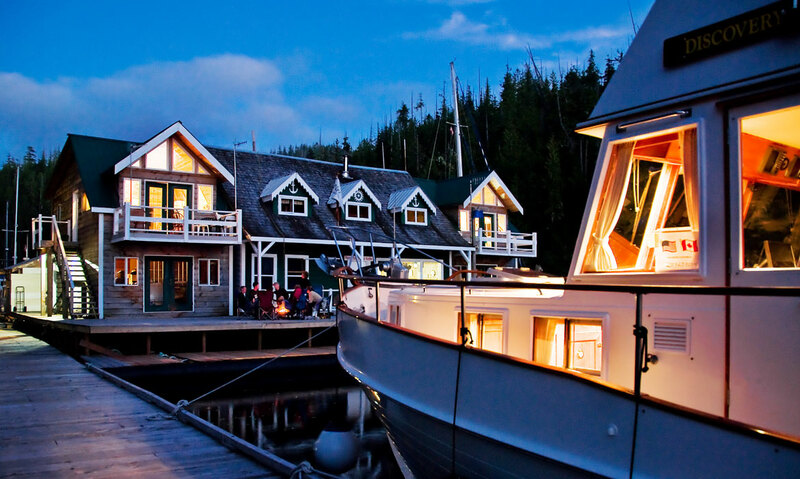 The benefit of this intense boating is that you get to experience deep wilderness and thriving native culture unlike anywhere else in British Columbia. 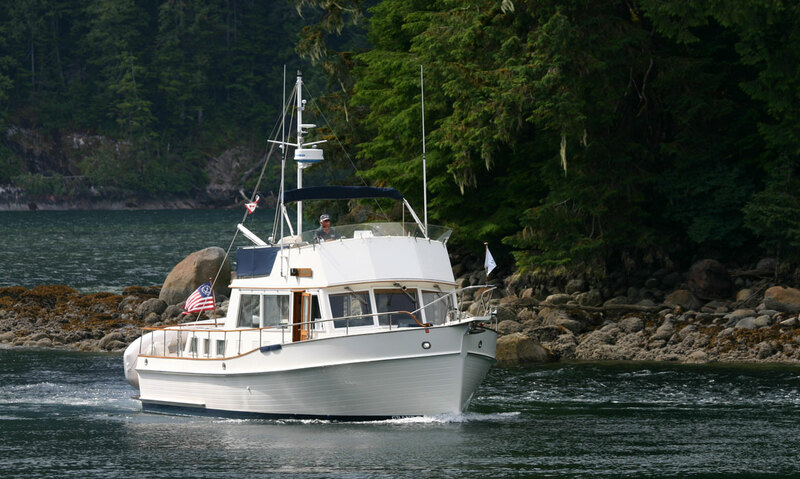 Skipper a private yacht along the stunning shores of the Alaskan wilderness with our exclusive flotilla. 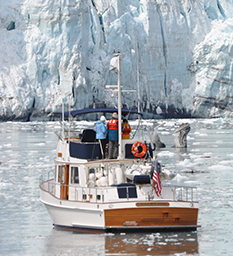 Get a front-row seat to the towering glaciers of the Inside Passage, experience Alaskan culture and wildlife, and above all: enjoy pure, unadulterated freedom. Spots are extremely limited, so don’t miss your chance to take the trip of a lifetime. 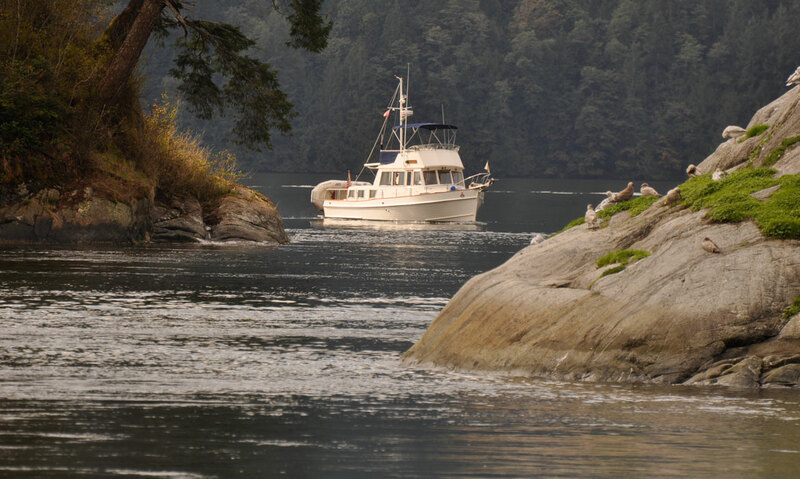 Your flotilla takes you to a new destination every day: enjoy the natural pools of Alaska’s Hot Springs Cove, learn about local indigenous tribes, visit the abandoned Chichagof gold mine, and scope out humpbacks, orcas, bears, and more from the comfort of your captain’s chair. Your itinerary offers some of the most epic scenery in the world, all showcased with the help of your tour’s certified naturalist. Plus, you get to hike, dine, shop, and explore along the way. Time and time again we hear that our flotillas are the most romantic experience in a couple’s life. And we don’t doubt it. Nothing does more for a relationship than some fresh ocean air and a much-needed escape from the hustle and bustle of everyday life—no cellphones, no computers, and no rushing around. 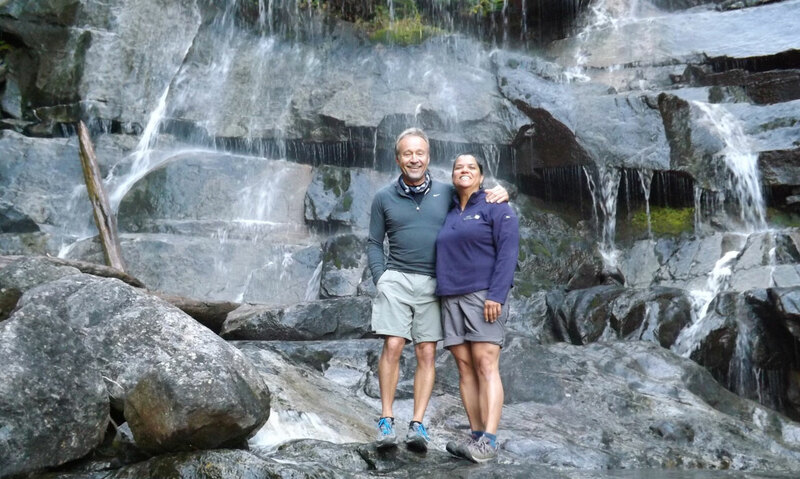 Whether you book a trip with friends, family, or your partner—this trip offers the peace, laughter, and adventure you need to reconnect with the people you love, and have a fantastic time doing it. 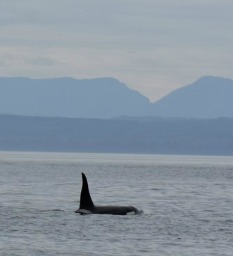 This flotilla gives you a front-row seat to some of the most impressive creatures in the world. 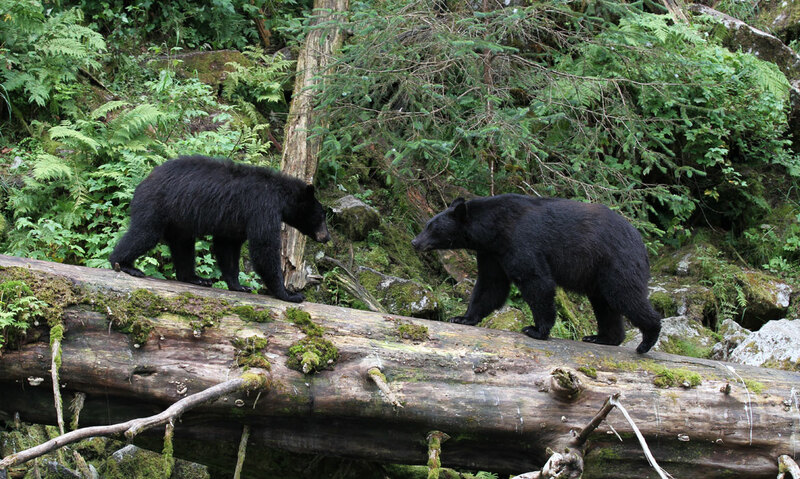 Follow the migration of humpback whales and orcas, watch black oystercatchers while they hunt, see hundreds of endangered 2,000-pound Steller Sea Lions sunbathing on the rocks, and more. Bald Eagles are also a sight to behold—there are only 70,000 Bald Eagles in the world and 50,000 of them are in northern British Columbia and Alaska. 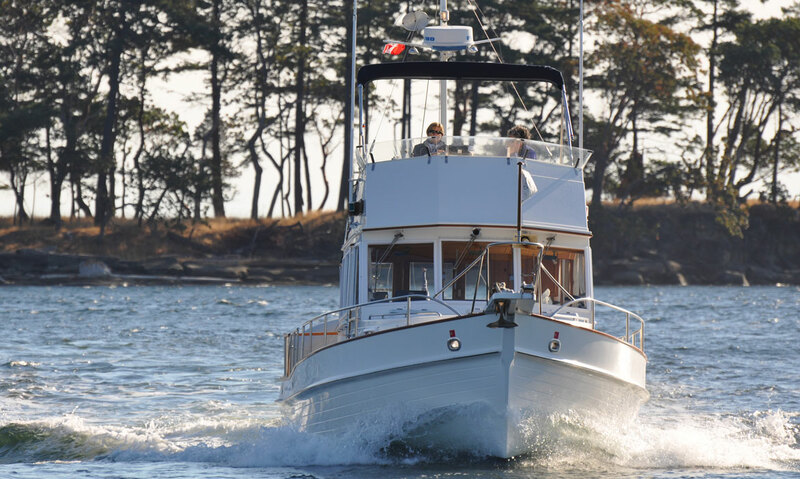 Enjoy a pristine, freshly-varnished yacht, with high-quality linens, a professional-grade kitchen, and a private sitting area—complete with all the sunsets and glasses of wine you can handle. The icing on the cake? You get it all to yourself. 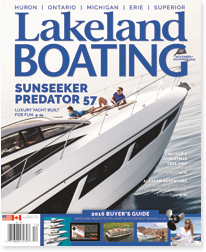 Our fleet of yachts are some of the best in the business; each boat undergoes an extensive 18-page checklist that ensures you get to skipper a near-perfect yacht. 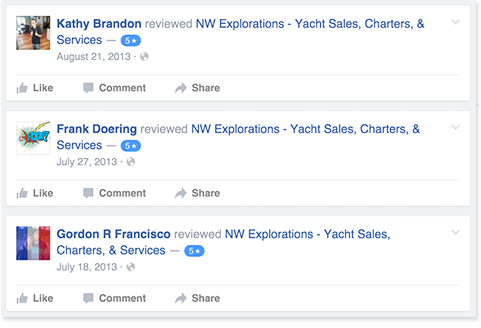 Whether you’re a seasoned captain or new to the boating world, the NW Explorations team will make your trip seamless. 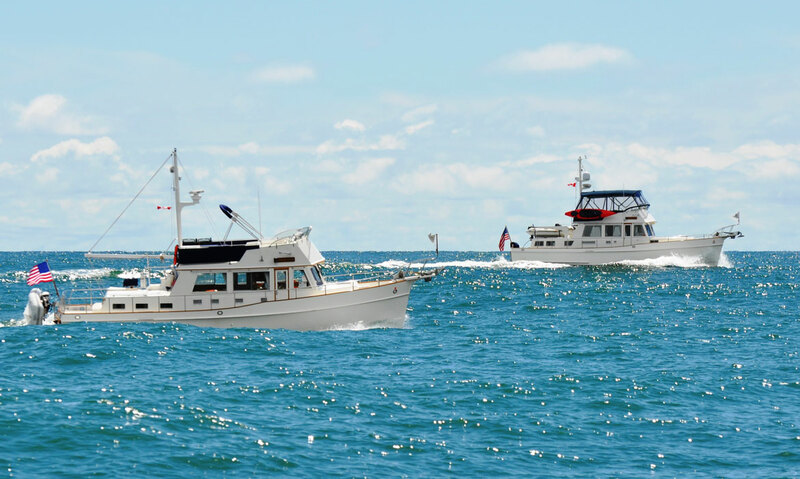 The lead boat—skippered by a U.S. Coast Guard licensed captain—travels with you the entire way with a trained marine technician, giving you tips, training, and keeping your itinerary on track. 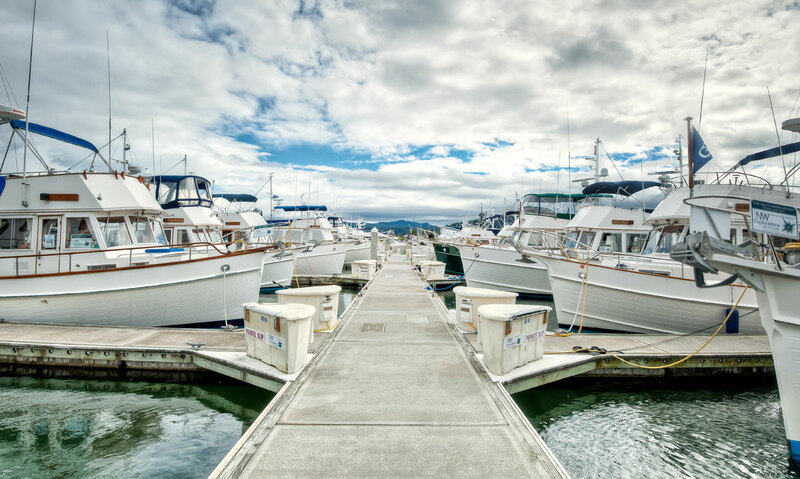 The NWE team helps with whatever you need: whether it’s finding the best restaurant in town or making sure your boat is stocked with your favorite kitchen gadgets--the team is there to put your mind at ease. Lastly, our certified naturalist will narrate key sightseeing spots, explain the history of local cultures and indigenous tribes, and pinpoint rare wildlife. 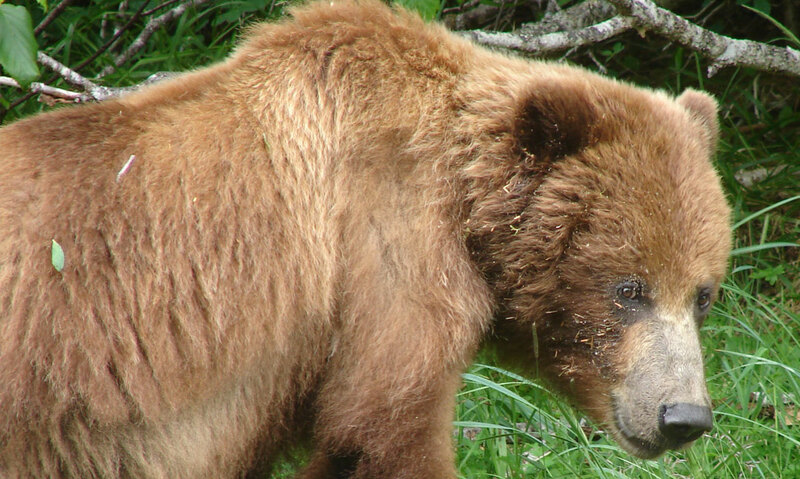 Operation is under permit with the Tongass National Forest. 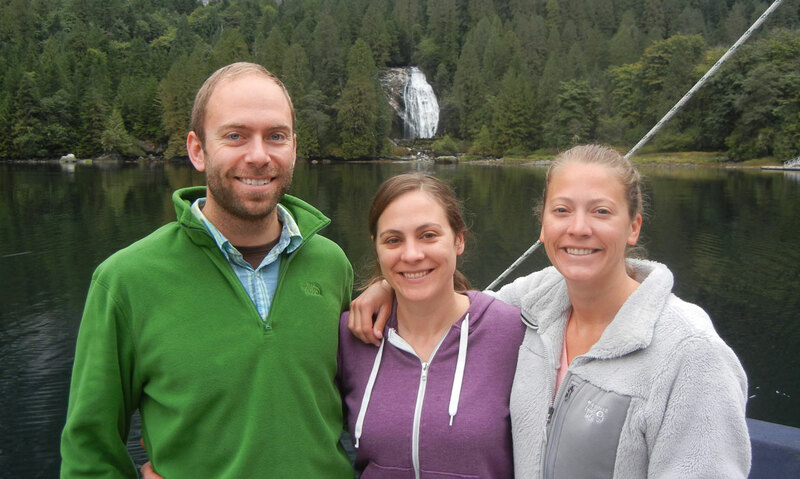 NW Explorations is an equal opportunity service provider. What’s the difference between a vacation and an adventure? 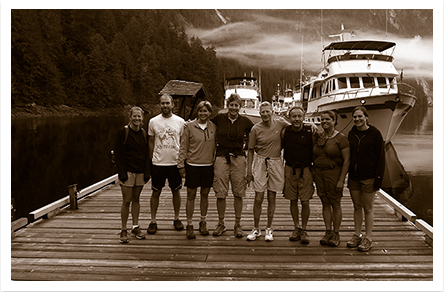 Having the experience of the NW Explorations flotilla team surely helps. 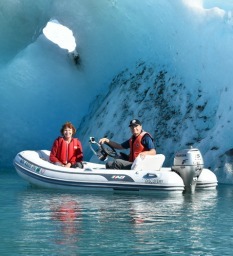 Explorations has unmatched expertise in elevating ‘ordinary’ boating into an adventure. 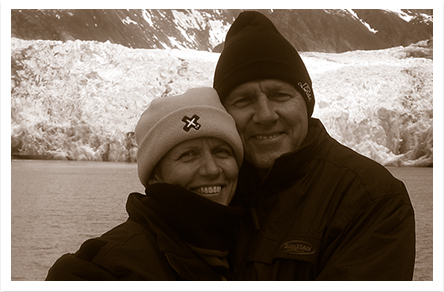 I can say without exception we have never had an experience that came close to matching our adventure. You and your staff were accommodating and gracious at every step of our arrangements. Having chartered both power and sailboats over the past 30 years in the Bahamas, the canals of France, the Virgin Islands, and the French West Indies, I wish to tell you how your staff exceeded all of our expectations and then some. 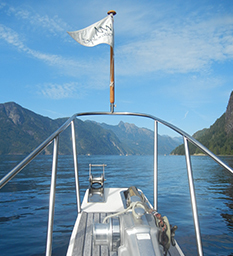 The flotilla-style charter offers the freedom and independence of solo barebones chartering while providing support, structure, and community. 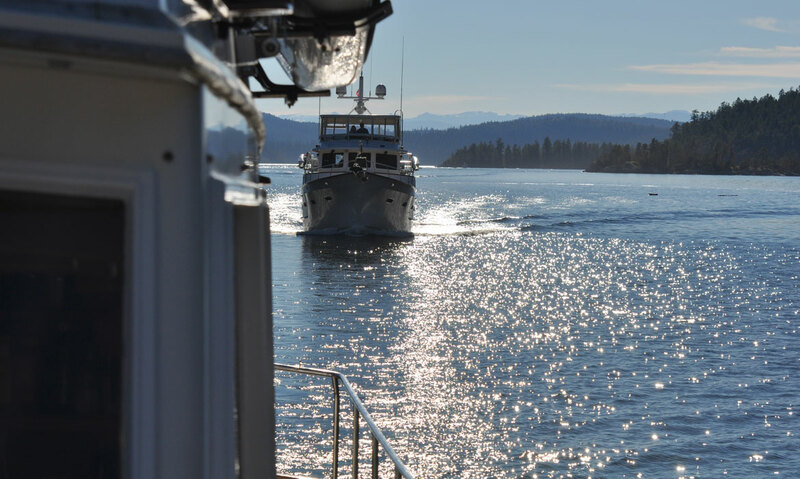 There are countless chartering companies in the Pacific Northwest and abroad, and many of them offer flotilla or flotilla-like experiences. 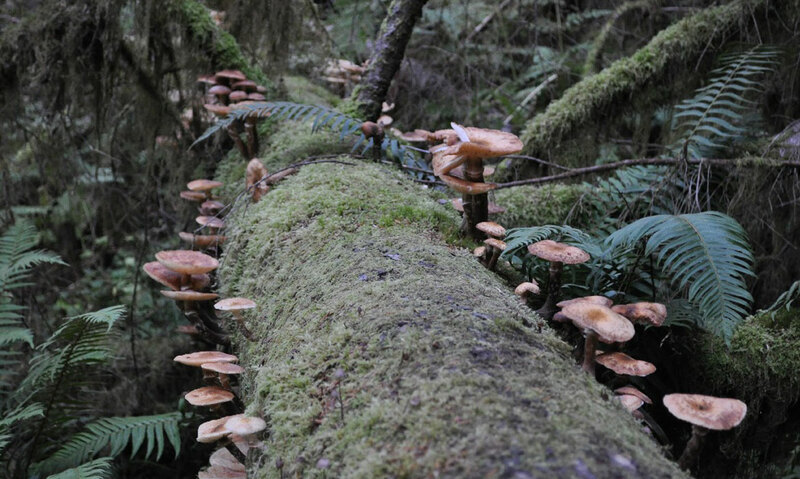 I was fortunate enough to hop aboard Leg 6 of the Mother Goose Flotilla 2018, one of Bellingham, Washington-based Northwest Explorations’ iconic seasonal adventures. The crew took me under their mother goose wings, sharing behind-the-scenes insights on how an ace flotilla operates. The journey was a sweet taste of that flotilla freedom lifestyle. The trip of a lifetime. 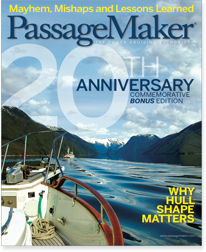 That’s how everyone described my upcoming assignment to Alaska on a 10-day charter with NW Explorations. 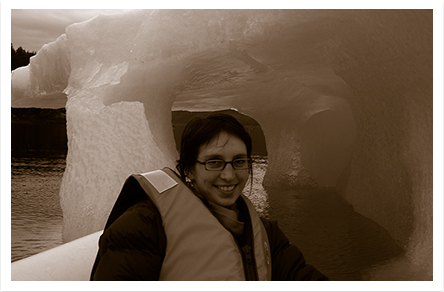 After returning I have to say, it was that and so much more… I can now say without a doubt that I wouldn’t have wanted to experience Alaska any other way. 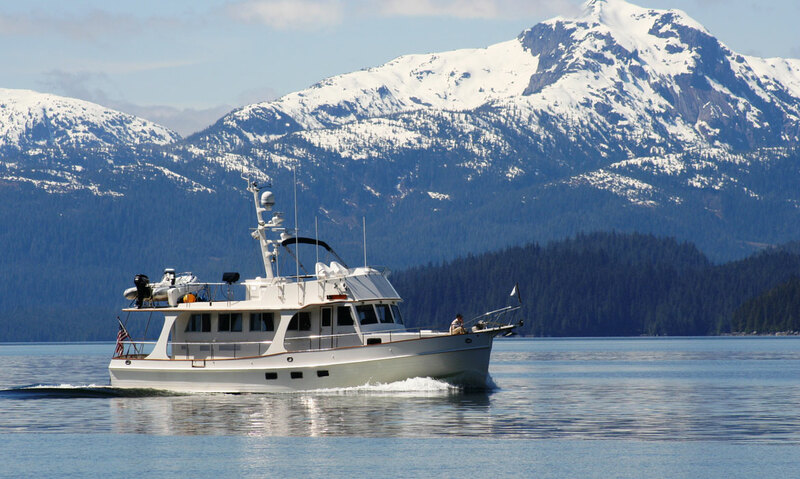 The flotilla allows clients to visit the immensely beautiful Alaskan coast independently on a chartered boat, while providing the comfort of guidance from a lead vessel (hence the name Mother Goose) and the camaraderie of fellow charterers doing the same thing. By joining NW Explorations on one of the company’s guided flotillas, you will be embarking on an adventure with fellow cruisers–and have the comfort of knowing an experienced captain is aboard the lead vessel. 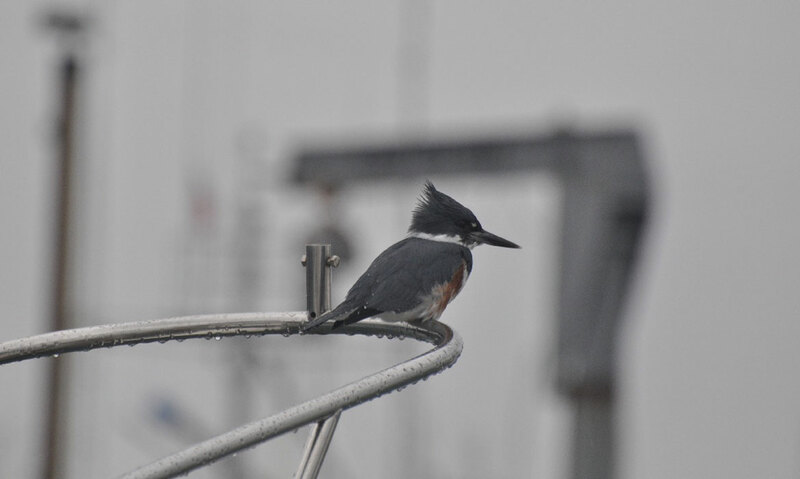 Along the way, you’ll hear from the lead boat regarding native culture, local history, and wildlife. 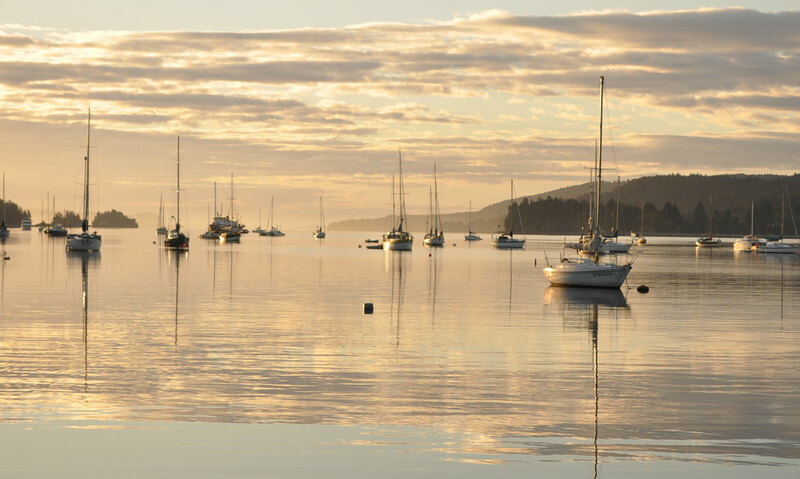 Once the flotilla arrives at an anchorage, you have the option of participating in guided on-shore and dinghy explorations, or relaxing in your chartered Grand Banks yacht. 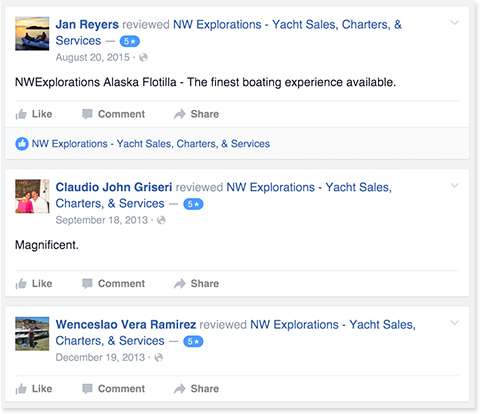 NW Explorations is a first-class operation, but you don’t have to take my word for it. Consider the fact that 70% of their charters are taken by repeat customers. 1 ARE THERE PLACES WHERE MY GUESTS CAN JOIN AND/OR DEPART, OTHER THAN AT THE BEGINNING OR END OF THE CRUISE? Especially for some of the longer legs we offer, guests often fly in and out to join our charter clients for portions of their trip. There are certainly locations along the way where scheduled flights facilitate this happening. In other cases, we must employ the assistance of chartered float planes. There is always a way to make “crew changes” happen along the way! 2 WHERE CAN I EXPECT TO HAVE INTERNET? Each of our legs has a detailed itinerary which will specify areas that have cellular and/or Internet service to help our clients plan ahead if they will need to check in with family or business while away. 3 WHAT IS INCLUDED IN THE COST OF THE TRIP? IS FUEL EXTRA? 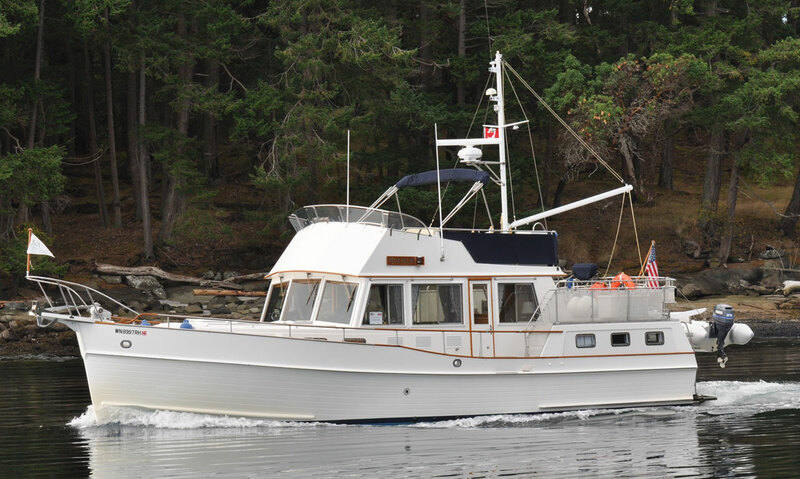 The flotilla price includes the rental of the vessel, insurance, moorage fees, and the support of the lead vessel, Deception. 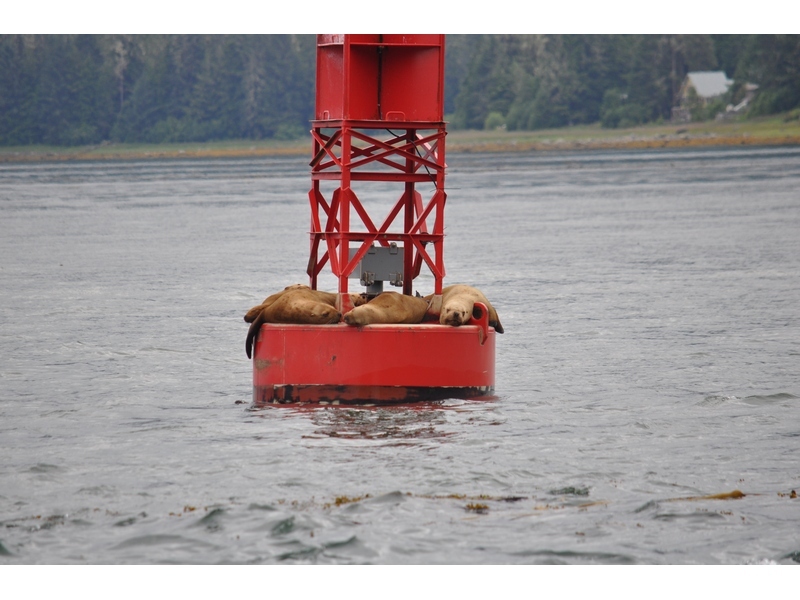 The lead vessel has a USCG licensed captain, a marine technician, and a naturalist. 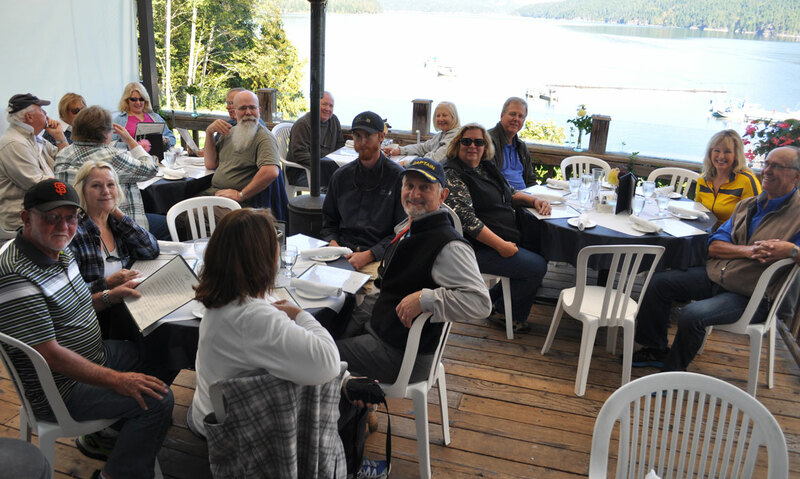 Our crew will be there to catch your lines, assist with any maneuvering needs, communicate over VHF on wildlife sightings/important sites, and even collect your garbage & recycling at the end of each day! 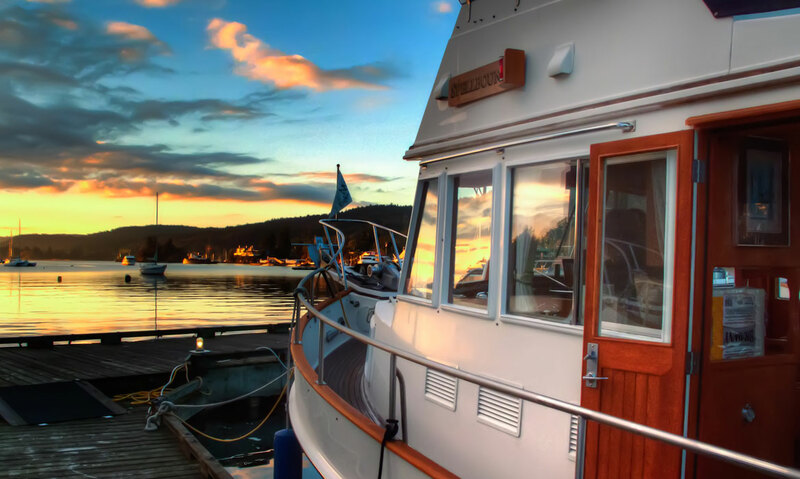 Fuel and provisions are at the expense of the client as well as transportation costs getting to and from the specific port of call in which your vessel is moored. 4 HOW DO I PROVISION? Each leg has a detailed itinerary which will specify locations where provisioning opportunities will be available. We do recommend for those legs that originate in Washington or Alaska and cross into Canada shortly thereafter to wait and purchase their fruits and vegetables until they have crossed into Canada. Certain restrictions apply and can change regarding these items. 5 WHAT IF I NEED TO CANCEL? 6 WHAT HAPPENS IN AN EMERGENCY? Each flotilla participant is asked to fill out a Medical & Emergency Form. The purpose of this form is to provide the crew on the lead boat with valuable information to use in the case of an emergency. 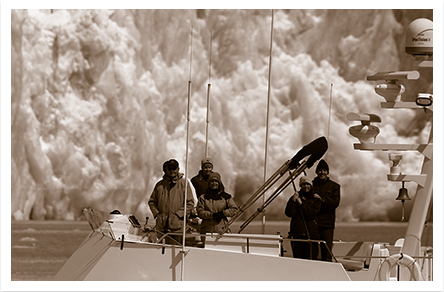 To the extent that the crew is able to assist, they will make every effort to do so. For those situations that are outside our level of training, we have VHF radios and a satellite phone that allow us to be in constant communication with the US Coast Guard. Although it is not a situation that we anticipate or hope for our clients to have, we are prepared to make arrangements to have guests flown out to receive medical treatment if needed.